Ashwini Ayurvedic Medical College is situated in Tumkur District, which is 70 kms from Bangalore, on Bangalore Honnavara Highway. The college is situated in a campus of 10 acres on the bank of tank which has given it a serene atmosphere. Ashwini Ayurvedic Medical college and research centre is a self financing institution, engaged in the practice and propagation of Ayurveda, one of the oldest and holistic health care systems of India. The Ayurvedic College was inaugurated and dedicated to the public in the year 2004 by the honorable B.N. Prakash Director, Dept of Ayush, Bangalore. It is affiliated to Rajiv Gandhi University of Health Sciences, Bangalore and recognized by CCIM Approval by Ministry of Health and Family welfare Govt. of India. Ayurveda, as most Indians know, involves the use of natural remedies to propagate healing and a healthy balanced life. The college is backed by state of the art facilities, including a 250 bedded hospital, which offers treatments at the minimum costs. The college is being initiated as a part of our endeavour to make cost effective and healthy alternative medicine like Ayurveda, available for all. 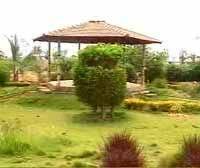 The college provides excellent training and research facilities with the herbal garden for the purpose. The college aims to promote Ayurveda at a global level. Ashwini Ayurvedic College is under the Aruna Educational Trust, which was formed in the year 1995 with the aim to promote medical and paramedical courses. Dr. K.G. Raghavendra M.B.B.S., DLO is the Managing Director. 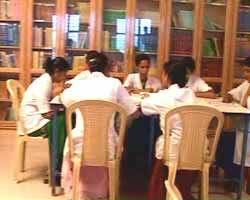 Today Ashwini Medical College is a name synonymous with the best Ayurveda education in the state. 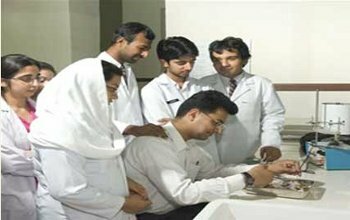 The college offers BAMS (Bachelor of Ayurvedic Medicine & Surgery) Professional degree course. The student should qualify by PUC with 50% in PCB for SC/ST 40% in PCB or B.Sc. with CBZ 50% but shall have studied Physics in PUC and their age must 17 yrs and above at the time of admission. A period of 4 yrs comprising of 3 phases. Each phase is of 18 months duration. In addition to this students will have to do a compulsory internship for 1 year for B.A.M.S. course. Ashwini Ayurvedic Medical College and Research Centre is a platform of higher learning and development in the field of Ayurveda has got a superior and well qualified, experienced faculty in all departments. The well trained faculty supports in the overall development of students. Teachers here are trained to inspire confidence, positive thinking and extensive learning. Food served on the campus is exclusively vegetarian. An efficient hygienic mess has been possible by dedicated staff and students representatives. We provide hostel for girls that is situated in the college campus consists of well designed blocks and common dinning hall. The college has well equipped library with good collection of books to cater to the needs of all students and the herbal garden with wide variety of medicinal plants. All the 14 departments of the college are well equipped and well arranged. Each department is having its own museum. Class room provides an appropriate environment for students and the institute provides well equipped class rooms and is very spacious. The College possesses well equipped laboratory with modern equipments. The laboratory is open for the students in college hours under the observation of a lab technician. A well designed auditorium, capable of accommodating over 200 students at a time has been constructed keeping all the needs of the students like conducting seminars, guest lecturers and other extra curricular activities. Excellent clinical facilities are provided at 250 bedded Ashwini Hospital. 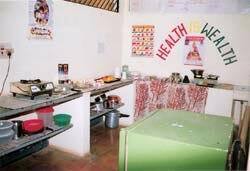 Here the students will get training is both ayurvedic field and Allopathic Field. The hospital has got OPD of all disciplines of Ayurveda and modern medicine, Special, Semi Special and Deluxe wards, Operation Theatre, X-Ray, Laboratory scanning, Labour Theatre & Panchakarna unit. Hospital will definitely aid in training the students remarkably. During training period, students are assigned hospital duties for their clinical experience in the various departments. Address: Ring Road, Maralur, Tumkur. 572 105, Karnataka.